...and they're here! 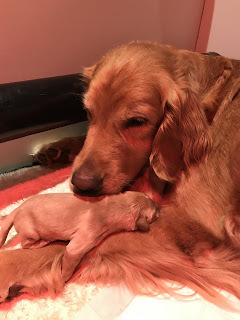 Shannon's puppies arrived in the middle of the night. 8 puppies total are doing well. If you have a puppy reserved from this litter, Mark will be in touch over the next few days to confirm the details - we're just catching up on some sleep!